The helpful Police Car tries to save the playful Excavator who has fallen in a deep hole in this car cartoon video for kids. He can’t do it alone so he seeks the help of Crane. They finally pull up Excavator who is still busy bouncing a soccer ball. 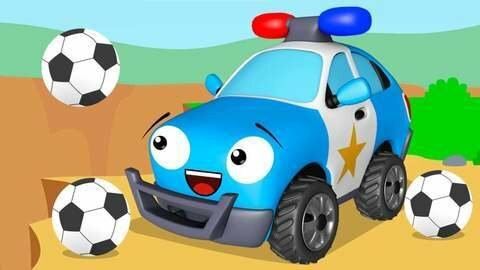 Lots more fun and entertaining car cartoon videos can be found on SeeZisKids so go ahead and visit them today.